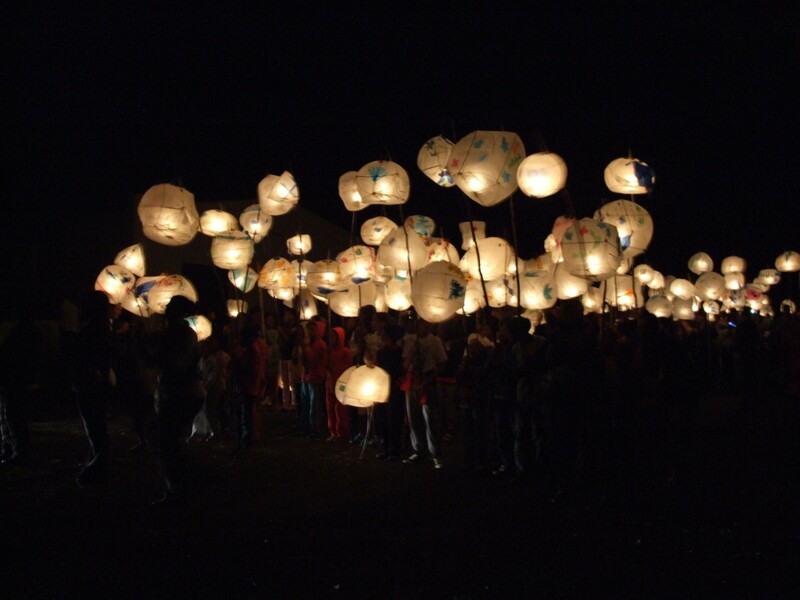 Every year on New Year’s Eve, people gather from far and wide to take part in a spectacular lantern festival. It begins with a performance in the Centre’s Courtyard Theatre, winds through the township and returns to the Centre where there is dancing and feasting. 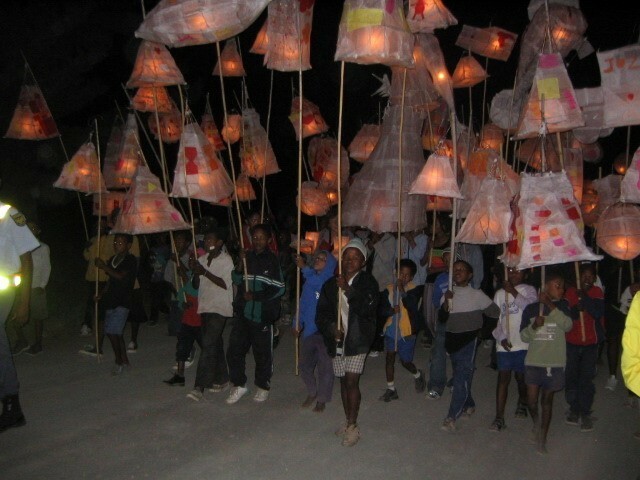 You can make your own lantern at one of our workshops, or we will make one for you. The Bethesda Arts Centre, First People Centre, will be celebrating the arrival of the New Year with its usual Festival of Lights. This is the 15th year we have had this event. The event is joyful family celebration hosted by the Centre to which all are invited. In keeping with the mission of the Arts Centre, this is an alcohol-free event, offering a chance to enjoy the evening with peace and delight, and without fear. 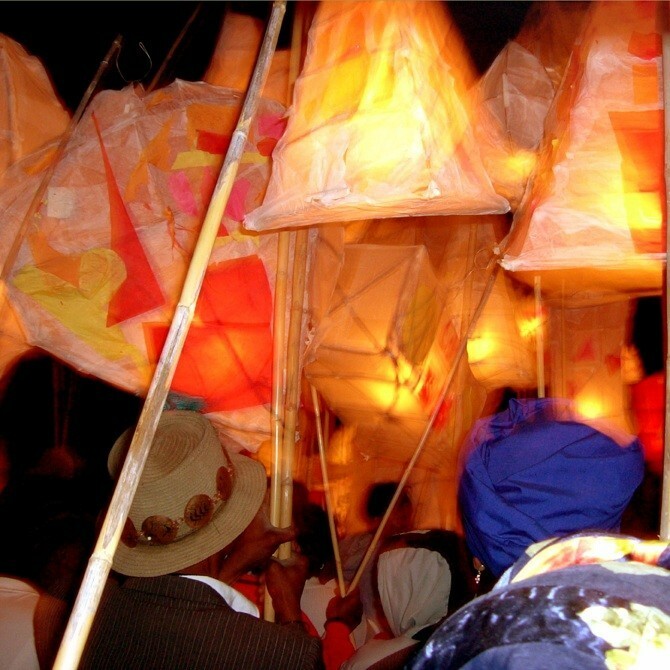 Those who would like to make a lantern may join a workshop during the two weeks before the Festival. Please note there will be no workshops on December 31st. Please contact the Centre for details of workshops, dates and times. 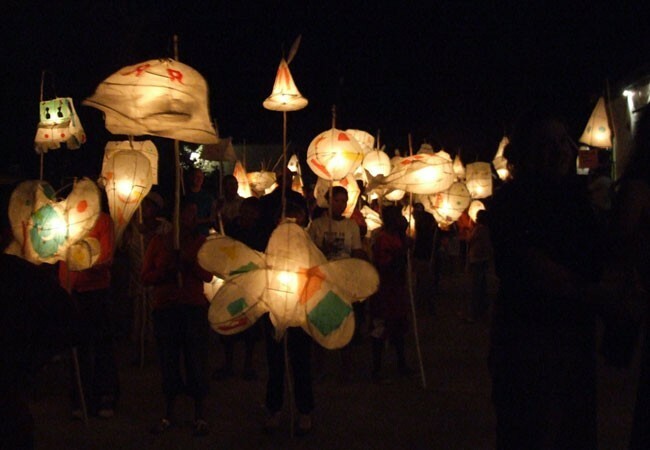 All welcome to make a lantern but children must be accompanied by an adult while at Centre. Materials will be provided and the Centre Artists will facilitate the workshops. For those unable to attend workshops who have purchased a ticket in advance, you will be given a lantern when you arrive at the Centre on December 31st. The evening will begin at the Bethesda Arts Centre, with a performance by the First People Artists. 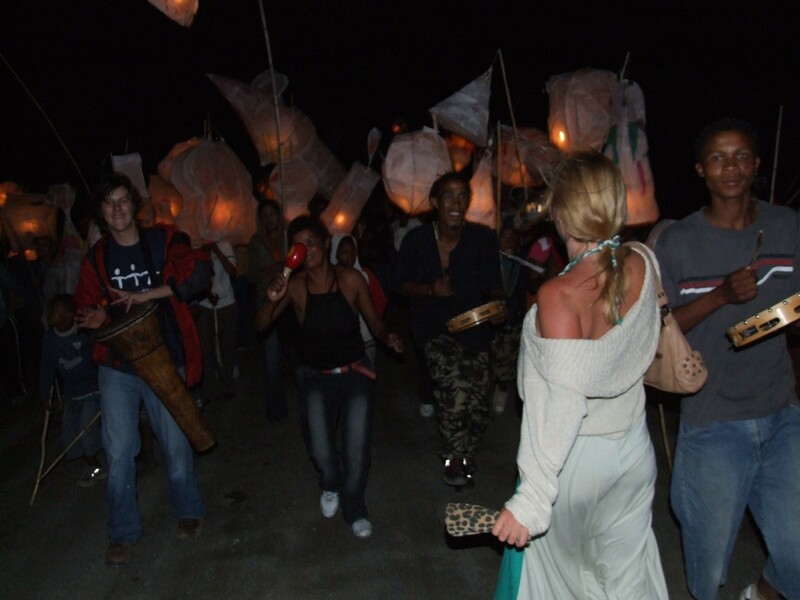 Then everyone will walk in a singing procession carrying their lanterns through Hightown (the local township) and back to the Centre. The braai will by then be ready. It will be a simple meal of meat, bread, and salad. Soft drinks will be available from our cash bar. Tickets: Prices to be anounced. A lantern, or lantern workshop. This event is weather permitting. In the unlikely event of a thunderstorm, we will work around the weather as far as we can, using the studios and galleries. We regret that it will not be possible to offer refunds.